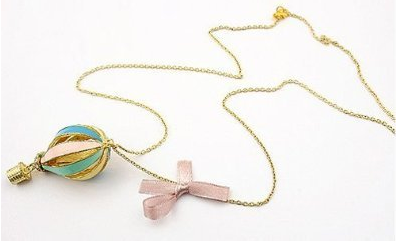 Hot Air Balloon Pendant Necklace Only $3.42 PLUS FREE Shipping! You are here: Home / Great Deals / Amazon Deals / Hot Air Balloon Pendant Necklace Only $3.42 PLUS FREE Shipping! great gift for a teen or pre-teen in your life! Get yours NOW!